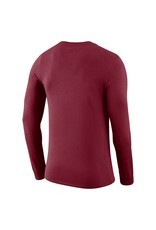 Color: * Crimson Charcoal Hthr. 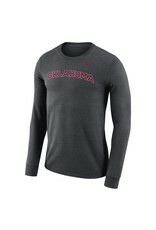 Looking for a hard-working shirt that will take you from the gym to the next Oklahoma Sooners game? Then you'll love the OU Nike NCAA Men's Dri-Fit Legend Wordmark Long Sleeve T-shirt. 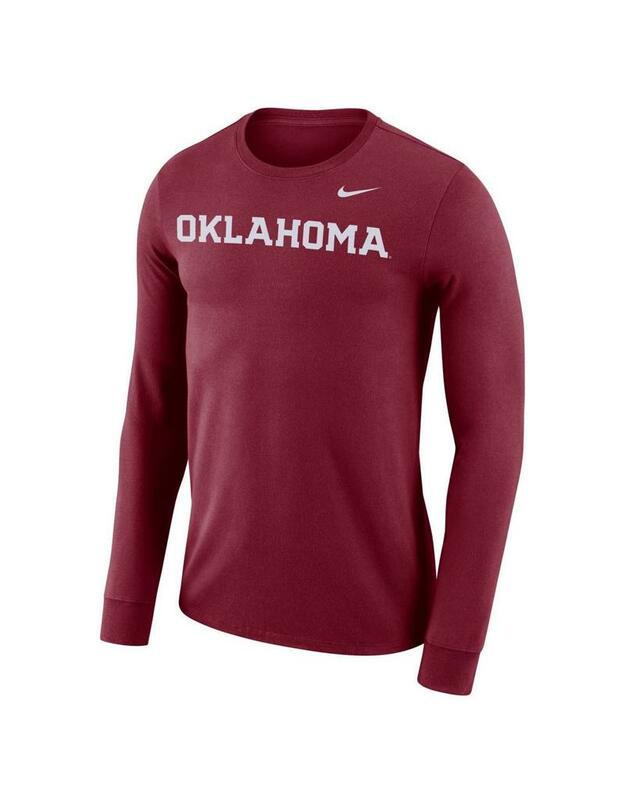 It features your favorite NCAA team's name boldly across its front. And it's crafted from Nike's Dri-FIT, which is a high-performance fabric that will move your sweat away from your skin and to the surface of the shirt where it can evaporate. 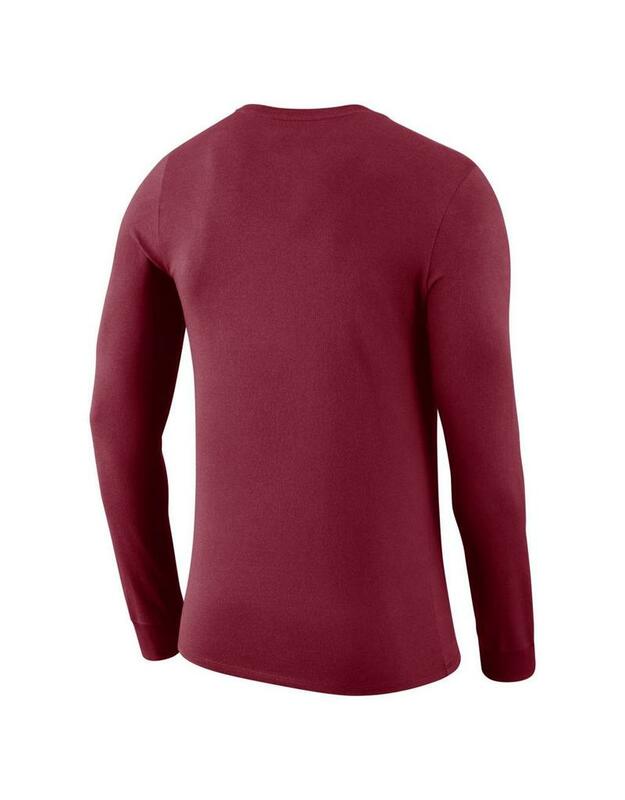 Plus, this long-sleeve tee is also a classic that can be worn just about anywhere. It's a true winner, just like the Oklahoma Sooners!